By linking the MUP with metaphysical, epistemological, and ethical errors, Rand and her disciples have a powerful tool by which to flog those with differing aesthetic tastes. It turns out (by implication at least) that if you enjoy "malevolent" art (and for Rand, most art is malevolent) you are guilty of holding vicious philosophical premises (probably the result of not focusing your mind). There are any number of problems with the Objectivist conception of a malevolent sense of life. In the first place, how does Rand and Peikoff know that this malevolence stems from non-Objectivist philosophy? What compelling evidence do they have? Peikoff provides Schopenhauer as an example; but Schopenhauer did not believe that "reason" is invalid, nor was he an advocate of "altruism." Schopenhauer's metaphysics, by all accounts, seems to have been derived from his pessimism, rather than the other way (i.e., his metaphysics is merely a rationalization of his pessimism). The conviction that "man, by his very nature, is helpless and doomed" is actually not held by very many people. It's a view that most often comes to people when in despair or in a bad mood. It is not a normal way of looking at things. Human beings are hardwired to hope for better things down the road. There is no compelling evidence that pessimism stems from Plato and Kant. A more common attitude among mankind is what might be called the tragic sense of life. But this is entirely different complex of beliefs, attitudes, and insights than is encaspulated in Rand's malevolent sense of life. Those differences I will elucidate in my next post. Regarding malevolent vs. benevolent universe premises, somebody must have pointed out to Rand that the universe is both -- the same universe that provides a sustaining biosphere also produces floods and asteroid collisions. Homologically, any human life has its triumphs and catastrophes, and lots of people's expectations of life are mixed or ambivalent (and thus, realistic!). How did she reply? As it is described here, her malevolent/benevolent notions seem almost theistic. The universe is probably "neutral" more than anything; to call it either malevolent or benevolent seems to impute a conscious intention to it. I don't think that most humanists or atheists would agree with this way of describing the universe. She seems to apply the same thinking to a lot of things, like capitalism itself -- she wants to argue for its inherent, ethical "goodness," and against notions of it as "evil." The possibility that it is just a neutral system -- a tool -- that can be wielded by people benevolently or malevolently is not available in her philosophy. "In the first place, how does Rand and Peikoff know that this malevolence stems from non-Objectivist philosophy? What compelling evidence do they have?" I think a more important question is how do Rand and Peikoff know that all of the art which they label as "malevolent" is actually "malevolent," versus that they themselves are so malevolent in their methods of aesthetic interpretation as to misinterpret most "benevolent" art as "malevolent"? Incidentally, on the issue of "sense of life," Rand said (if the editing of Ayn Rand Answers: The Best of Her Q&A can be trusted), "[I]t is of course impossible to name the sense of life of fictional characters [but in the very next paragraph she revealed what she believed to be Scarlett O'Hara's sense of life]. You might name the sense of life of your closest friend – though I doubt it. You may, after some years, know the sense of life of the person you love, but nobody beyond that. You cannot ~judge~ the sense of life of another person; that would be psychologizing." Rand seems to have believed that she alone was capable of knowing others' senses of life based on very little information, including information delivered through a medium -- music -- which she believed currently had no objective "conceptual vocabulary" and which therefore must be treated as a "subjective matter." In general, Objectivism's black-or-white mode of thinking with assaults on shades of grey is part of what makes it an unrealistic philosophy for dealing with the world. It's easier to denounce Schopenhauer and deal with the "essentials" of his thoughts rather than to look at the full, complicated human being. Of course, we all have to simplify the world we live in, but that is not the same as claiming that the world actually is and should be that way. I don't understand what Rand means by "universe" when she talks about a benevolent universe premise vs. a malevolent universe premise. As far as I can tell, the universe is indifferent. Besides, I can't think of too many great works of art that deal with the moral nature of the universe, while most works that deal the universe as antagonist or obstacle, like certain science fiction or the works of the Jack London, are more about how humanity deals with situation, not the moral implications of the fact that cold will kill you (a la "To Build A Fire"). For me, that question of how people deal with a given situation is the more interesting issue, and all of my favorite literary works deal with questions of human nature and the human condition, not the nature of the universe itself. You'd think that looking at some of her favorites authors' works might clarify what she means by "universe," but it doesn't. Victor Hugo's two best-known works seem to present conflicting senses of life. Les Miserables is about a brutalized ex convict, Jen Valjean, a victim of gross injustice, who manages to become a compassionate man, a successful capitalist, and mayor of a town; despite this, he is continually hounded by an obsessed policeman, Javert, yet Jean Valjean still maintains his benevolent and compassionate worldview right up to the end---while the policeman, disgusted with what he has become, kills himself. It doesn't seem like a book about benevolent universes than about the importance of being a benevolent person. Other the other hand, in The Hunchback of Notre Dame all the heroes (if heroes they can be called) die, crushed by the intolerant, ingnorant era in which they live. Malevolent universe simply a recognition that sometimes, in certain situations, good does not triumph? What does it say about Victor Hugo's "sense of life," Objectivistically speaking, that Jean Valjean triumphs while Quasimodo is utterly destroyed? Meanwhile, Rand favorite contemporaneous author was Mickey Spillane, creator of Mike Hammer, a violent, drunken, misogynistic private investigator who solves most of his cases not through brilliance (a la Sherlock Holmes) or invetigative ability (a la Barbara Havers (Lynley's a prat)), but through brute force, dumb luck, and the incompetence of the villains. Furthermore, Mike Hammer acts as judge, jury, and executioner, always convinced of the rightness, if not legality, of his actions as he guns down a suspect, sometimes in cold blood, despite the fact that the plot of most Mike Hammer novels is advanced by the mistake, missteps, and misjudgments Mike Hammer repeatedly makes regarding his clients, his suspects, and the clues. Based on this, what is Mickey Spillane's "sense of life"? What is the moral nature of the universe presented by Mickey Spillane? What does is say about Rand "sense of life" that she admired his writing? >I don't understand what Rand means by "universe" when she talks about a benevolent universe premise vs. a malevolent universe premise. As far as I can tell, the universe is indifferent. Your confusion is entirely understandable. How does Rand reconcile her benevolent sense of life with her belief that mysticism and collectivism keep getting the upper hand, despite occasional victories by rational men in holding them at bay? She doesn't have a model to demonstrate the permanent victory of good philosophy over bad. Galt's strike just kills the current holders of bad philosophy. His strike can destroy their bodies, but not their bad ideas. Rand held that the defenders of reason always failed in the past because they lacked a complete, consistent philosophical system. Most notably, the founding fathers of the US had the right political ideas but were still altruists in ethics; since ethics is more fundamental than politics, collapse was inevitable. Rand's job, then, was to be the savior: the first to develop a complete consistent philosophical system supporting reason and man's life on earth. If enough people would embrace her system, then at last there could be a permanent victory of good philosophy over bad in the world as a whole. (And one ongoing debate among the faithful is just what fraction of the population needs to be converted.) Of course, Rand believed in free will, and as I recall, she admitted that the victory of good philosohpy is never guaranteed. It's always conditional: If men choose to see reason, then Objectivism prevails and mysticism/collectivism fade into insignificance. Like all of Rand's theories, this one is grossly oversimplified. And her philosophy is not nearly as consistent, rational, or reality-based as she claimed. But since you asked, she did have an explanation. Mark Plus asks: "How does Rand reconcile her benevolent sense of life with her belief that mysticism and collectivism keep getting the upper hand, despite occasional victories by rational men in holding them at bay? She doesn't have a model to demonstrate the permanent victory of good philosophy over bad. Galt's strike just kills the current holders of bad philosophy. His strike can destroy their bodies, but not their bad ideas." Actually, there is a model she pointed to quite convincingly: the Renaissance as a product of Aristotelian philosophy being reintroduced to the West. It just takes time for these fundamental shifts to happen. Aristotle's complete works weren't translated into English and made available in America until the second quarter of the 20th century, and - given Aristotle's stature as someone who must - like an axiom - be invoked in order to be denied, it's only a matter of time before Aristotelianism leads to a second Renaissance - with Rand's philosophy as a significant popular vehicle for that. I aim to make my forthcoming Perfectivism part of that intellectual revolution (and to help speed it up) as well. Makes a lot of sense to me. Rand was an idealist and not a cynic. She didn't accept the world as it is, as the way it might be and ought to be. The world is not "fallen," but humans do have free will and they can apply their rational faculty to the fullest or they can fail to do so. Some (a lot?) fail to do so out of ignorance of better alternatives than what they've been presented. But consider the course of human history: from the early days of homo sapiens to now, there have been great advances in knowledge. We didn't have philosophy and philosophers until 2,500ish years ago. Philosophers do (or should do) the work of integrating knowledge into a systematic whole at the greatest level of fundamentality or abstraction. As long as we have Aristotle-like philosophers around, the prospects of progress are good. Philosophy is crucial in moving people from a state of ignorance to a state of knowledge and wisdom. Education is essential. And as long as individuals use their minds to the utmost, their individual prospects for progress are good. Hence, the "benevolent universe premise." "And as long as individuals use their minds to the utmost, their individual prospects for progress are good. Hence, the 'benevolent universe premise.'" While that is a correct account of Rand's view, it's not clear that describing it as the "benevolent universe premise" is all that apt or correct. Creating a dichotomy between a benevolent universe on the one side and a malevolent universe on the other spreads more confusion than light on the issue, particularly when one considers the use Rand made of the "malevolent universe principle." (And as an aside, I would strongly suspect that Rand herself would have regarded Kubrick's films as expressing the MUP, and I can't think of a single film of Kubrick's she would have liked.) As Chris noted in an earlier post, unless we take a theistic position, the universe is indifferent to what happens to us. The principle Rand is promulgating should more accurately have been called something along the lines of the "efficacy of the human mind principle." "Philosophy is crucial in moving people from a state of ignorance to a state of knowledge and wisdom." The difficulty with this point of view is that it assumes that the human psyche is largely the product of philosophical premises. There is no evidence from clinical or experimental psychology to support this view; and much evidence, not only from psychology, but from cognitive science and biology, that this is not so. And the historical "evidence" brought forth to support this doctrine of Rand suffers not merely from over-generality (i.e., not paying enough attention to important details) but from an extreme confirmation bias as well. The notion that the Renaissance was brought about through Aristotle's philosophy is largely mythical and only seems plausible to those who have never studied the Renaissance in much detail. I would also note that the idea that philosophy can move people from a state of ignorance to knowledge and wisdom is, to the extent that it is true (and that extent is confined to a small minority of people), is largely irrelevant. Knowledge and wisdom is no guarantee that people are going to do the right thing. Throughout history, we find that such passions as the mania for status, envy, resentment, etc. lead people toward behaviors that lead to war, social strife, corruption, venality, and many of the other vices that flesh is heir to. Many of these vices appear hard-wired into human nature and can no more be cured by knowledge and wisdom than poverty can be cured by an Act of Congress. "the Renaissance as a product of Aristotelian philosophy being reintroduced to the West"
This is one of those Objectivist claims that seem convincing until you look at the facts. The Middle Ages also saw major advances in law and commerce, leading to the rise of the first vigorous middle class in history - merchants, artisans, bankers, and others who laid the foundation for more sophisticated iterations of capitalism in later centuries. On the other hand, the chief intellectual influences on Renaissance men were Plato, Plotinus, and Hermes Trismgestus, the semilegendary figure credited with writing The Hermetica, a book of alchemical and mystical lore. Leading intellectuals of the period were fascinated by alchemy, astrology, numerology, and scrying. Secret societies with mystical initiation rites were all the rage. Freemasonry, for instance, seems to have developed during this period. Moreover, there's no evidence that the writings of Aristotle had much influence on either medievals or Renaissance men, except in the limited sphere of theology, where Thomism became a dominant strain of thought. Otherwise, people were more interested in solving practical problems, though sometimes in misguided ways (e.g. alchemy). Rand's version of medieval and Renaissance history is a fairy tale. It has an ogre (Christianity), a damsel in distress (Western culture), and a hero (Aristotelian logic). The damsel suffers piteously at the hands of the ogre until finally the hero makes his dramatic entrance, vanquishes the ogre, and rescues the damsel. Then the hero and the damsel live happily ever after. It's a good bedtime story, but that's all it is. GN: Among whom does BUP generate any real confusion? From what I can tell, people who might be confused are readily provided an explanation as to the meaning, and I don't see how that doesn't suffice to clear up confusion unless someone is just easily confused about things. It sounds really petty to dwell on choice of words; aren't there much bigger and better fish to fry, Randian or otherwise? To be fair to Rand, it's not just her fairy tale, but one commonly bandied around by atheists of many stripes. It's the kind of thing that is generally implausible to a broad student of human nature, but blank slate views of human nature have had some influence throughout history and have also had a prominent influence on many philosophers who were anti-religion. "The difficulty with this point of view is that it assumes that the human psyche is largely the product of philosophical premises." That's simply a non sequitur from what I said. Many people are hardly philosophical at all - which only reinforces the point I was making. People are products of (a) things they've absorbed form their surrounding culture, (b) their self-initiated efforts to think or not, and (c) ? Does this kind of straw-man figure into your general criticisms of Rand? "The notion that the Renaissance was brought about through Aristotle's philosophy is largely mythical and only seems plausible to those who have never studied the Renaissance in much detail." Let's work backward here: What happens if Aristotle's works are lost completely to the West and Aquinas never performed his synthesis, and Aristotelian-Thomism didn't become the official doctrinal base for the Church? Does the scientific revolution happen anywhere near as soon as it actually did? "I would also note that the idea that philosophy can move people from a state of ignorance to knowledge and wisdom is, to the extent that it is true (and that extent is confined to a small minority of people), is largely irrelevant. Knowledge and wisdom is no guarantee that people are going to do the right thing." (1) It's clearly an undeniably true. (2) Of course knowledge is no guarantee, but do you want to explain what you mean by "wisdom"?
" Throughout history, we find that such passions as the mania for status, envy, resentment, etc. lead people toward behaviors that lead to war, social strife, corruption, venality, and many of the other vices that flesh is heir to. Many of these vices appear hard-wired into human nature and can no more be cured by knowledge and wisdom than poverty can be cured by an Act of Congress." This is sinking pretty low in order to deny the obvious. At some fundamental level, people can become better under the right set of conditions (including self-directed ones). There are many historical examples of people who have broken out of the mechanistic mold in which you pigeonhole human beings. Also, I've pointed out that there is such thing as ignorance of a better way - and in absence of knowledge of better alternatives, people will indeed find the various vices you mention to be alluring. Are you at all familiar with the ancient Greeks' ideas of moral education as a transition from ignorance to knowledge? True enough, a lot of the people of their time were not ready for Enlightenment, but progress has occurred since then. As a woman, Ayn Rand could not have become a philosopher in ancient Greece given the status of women there, but in America, she did. Michael P., there is a lot to untangle in your posting. What I absolutely refuse to accept is that, whatever the way things were before Aquinas, that Aristotelianism did not bring about an *improvement* in virtue of the great qualities of Aristotelian-style philosophizing. I pose the same challenge I posed to Greg S., and that is to imagine what might have happened in absence of Thomas's synthesis. The fundamental here is that Aristotelian-style philosophizing is the gold standard in the field, due to the comprehensiveness of an Aristotelian-style approach. What say you about the anti-Aristotelian backlash of the Reformation? Have you seen Luther's prescription to "see no evil" when it comes to Aristotle? Isn't it highly significant to the subsequent course of things that Servetus was murdered for philosophizing? Or, invoking the same principle, what progress was slowed by the Church's attitude toward the likes of Copernicus? More generally, what happens when people are freed from the authority and dogma of the Church? (How do you explain the current political conditions of Middle Eastern theocracy, except in the light of how it stunts progress?) Further, isn't Lockean social and political philosophy - which has a neo-Aristotelian flavor - essential to modern liberalism and the ideas of the American Founders? Once again, I ask you to creatively imagine a counterfactual world where certain thinkers' ideas didn't make their mark. BTW, have you noticed the neo-Aristotelian (eudaemonist) revival in contemporary moral philosophy, as an alternative to the deficiencies of other mainstream theories? Here's a more glaring example of the power of ideas that doesn't really leave any wiggle room at all: the effects of Marxism on the course of the subsequent century-plus. While you consider that, consider which country Ayn Rand grew up in, then left, and where she moved to. I mean, this sort of thing should be obvious. Another creative exercise, forward-looking this time. Say that eudaemonist ethics and Aristotelian philosophy generally becomes more the rage in the philosophical profession. For one thing, you might extrapolate from the past - just look how much philosophical literature there was on Aristotle in the 20th century prior to, say, Veatch's Rational Man (1962). Anyway, just imagine the academy being overtaken by Aristotelianism, which necessarily means a greater amount of attention to Rand's ideas given her similarities to the Big A. So assume an academy in which Aristotelianism and Randianism are the rage, and the students attending the academy are presented a curriculum that reflects that. If you don't think that this would lead to a much better world than what we have now, then you're in serious denial about the power of ideas. "What say you about the anti-Aristotelian backlash of the Reformation?" Because of Thomism, Aristotle was viewed as the "official" philosopher of the Church. In rebelling against the Church, Luther et al. were, of necessity, rebelling against Aristotle (as filtered through Aquinas). How little this intellectual controversy relates to the real world is indicated by the facts on the ground: as a practical matter, the Reformation paved the way for less statism, more individualism, and more capitalism. All these things are, according to Rand, logical implications of Aristotelianism, yet it was a bunch of faith-based churchmen rebelling against Aristotle who actually brought about these changes (inadvertently, to some extent). Abstract philosophical speculations generally have only limited influence on the general public, and even on intellectuals. That's not to say ideas have no power, merely that they have less power than Rand imagined. Take Marxism. Lenin simply wanted power, and used Marxism as a convenient rationalization. If Marxism hadn't been available, he would have used some other pretext. Today, Marxism has been discredited in Russia, so Putin and his puppets are grounding their regimes in nationalism instead. Hitler needed a broad coalition to achieve power, so he cleverly united the nationalists and the socialists, two groups that had been at each other's throats. He didn't attain office because of the power of ideas, but because he was able to manipulate large masses of people with rhetoric and political maneuvering. He seems to have had no interest in ideas at all, unless rabid, visceral antisemitism qualifies as an idea. Sure, ideas have some influence. Practical ideas tend to have the most influence, and speculative ideas tend to have the least, but even the airiest speculations can have some (usually limited) real-world consequences. That's much different from saying that philosophical ideas are the prime movers of history. I find the above analysis sloppy. The Reformers were rebelling against (a) claims of Church authority, which isn't synonymous with Aristotle; (b) Aristotle, in the case of folks like Luther. Inasmuch as they were rebelling against (a), they were working for long-term good. Inasmuch as they were rebelling against (b), or killing philosophers like Servetus, they were working for long-term detriment (and downright evil, by killing Servetus) by discouraging independent thought. It's clear from this that BOTH the Church and the Reformers were mixed cases, whereas Aristotle and Servetus were (actual or potential) forces for good, because philosophy, i.e., critical thinking, is a force for good. This is why I said that the introduction of Aristotelianism was a force for improvement over what there was before. I simply don't know how the essential thrust if this observation can be missed - how the forest can be missed for the trees, in effect. The response on the Marxism point is just plain bad. The Bolsheviks and subsequent line of dictators were enabled and empowered by a critical-mass-number of adherents of Marxist ideology. Marxism became official ideology in the Soviet universities. The Marxist ideas fueled the revolution. Etc. To what lengths are you willing to go to deny the effects of ideas here? Jeezus. Can't say the Hitler analysis is any better. The German intelligentsia leading up to Hitler had been steeped in nationalist and socialist thought. When Germany's leading philosopher of the time, Heidegger, embraced National Socialism, you know just how dysfunctional the country's intellectual environment was. This is not to say that the intelligentsia was responsible for Hitler's psychopathy and resulting mass-murder. There, that was Hitler initiating things - with yes-men going right along - but you're seriously deficient in your understanding if you don't see how the nationalism and socialism cultivated by the intelligentsia made it a lot easier for someone like Hitler to rise to power. "Sure, ideas have some influence. Practical ideas tend to have the most influence, and speculative ideas tend to have the least, but even the airiest speculations can have some (usually limited) real-world consequences. That's much different from saying that philosophical ideas are the prime movers of history." I've already mentioned it in another response, but people can lack an interest in philosophy, and that only reinforces the point. A lack of philosophy in someone's life necessarily brings with it a measure of existential impoverishment; further, if the philosophers default on the task of making their ideas relevant to the "common person", that not only reinforces the point about the power of philosophy, it also means widespread cultural impoverishment. If, for instance, the intellectual class defaults on the task of providing a high-quality code of ethics, the people will suffer spiritual impoverishment that much more. If, however, they present a eudaemonist ethics, in accessible terms, things can get a whole lot better. That's precisely why Rand wrote with a very broad audience in mind, to establish philosophy's relevance to daily life. And her ideas will change the world (for the better, of course). Just watch. A culture is a product, one way or other, of ideas. A culture is corrupted by bad philosophy. The philosophers are supposed to be the repositories of wisdom; educators and influential leaders look to them for guidance. If they have the Pragmatists for guidance instead of Aristotle, that's going to seriously affect the quality of the culture down the line. Students in their most intellectually active years going to college and not hearing about Aristotle and why he is great, are going to be that much more stunted in their lives. What kind of education do our most influential cultural leaders get? Philosophy necessarily is the place people of college-age look to for a fundamental view of existence, of the good, of how to think about things, etc. If they don't get something useful out of that part of their education, they are more likely to come out of school without wisdom or a guide to achieving it. They'll more likely come out as ignorant, unprincipled, and opportunistic - a lot like today's political, media, and other institutions. There's a way out of that rut, and it involves the philosophical class becoming essentially Aristotelian in its approach to ideas. And that includes a specific emphasis on integrating philosophy with daily life. The ancients at least recognized the serious importance of philosophy to a better society. Plato's Republic was a product of that sensibility, given the philistinic/ignorant corruption of the political leaders, though that doesn't mean we have to endorse Plato's regimented program. If the specific nature of his program is what throws people off the scent, then philosophers need to explicitly articulate this point. To be thrown off the scent in such a concrete-bound way--in effect, to miss the forest for the trees--is just the very sort of problem philosophers should be addressing. Aristotelians and other Greek-inspired thinkers address it, but who else does in a genuinely robust way? BTW, an Aristotelian approach which emphasizes the relation between using one's mind and living well, necessarily means a eudaemonist ethics. The central virtue in such an ethics is the virtue of rationality in Rand's sense, and it means self-actualizing through the application of wisdom. The notion sounds hokey to a cynic, especially one exposed only to modern ethical theories. As long as philosophers don't address this problem seriously, the "common man" becomes an incurable cynic. Cynicism is the sign of intellectual and moral bankruptcy, the end-of-the-line, and it's pervasive right now. And it shows up in such ways as poo-pooing the importance of philosophy to life (in other words, there's a vicious cycle here if it isn't corrected), and by accepting as a given that people will be opportunistic, conformist, unprincipled, violent, materialistic, anti-intellectual, etc. >The fundamental here is that Aristotelian-style philosophizing is the gold standard in the field, due to the comprehensiveness of an Aristotelian-style approach. However, us folks at the ARCHNblog beg to differ. Also, all that stuff about dialectical methodology, integration, context-keeping, etc., is key to understanding what I meant by reference to Aristotle's comprehensiveness as a thinker. His manner of philosophical thinking was thinking of the highest order, which is why Aquinas acknowledged him as none other than the Philosopher. So what's the *relevant* thing Aquinas, Hegel, Rand, Veatch, Rasmussen and Den Uyl, Sciabarra and so many other neo-Aristotelians find of such great value in Aristotle's writing? It sure as crap ain't his theory of gravitation, which is, in principle, the level of relevance Popper seems focused on with Arisotle. Think more *fundamentally* than that. *Methdology* is pretty much as fundamental as it gets in philosophy. Somehow I suspect my point is going to be missed a second time around, so let me try to restate things to avoid further confusion: The link provided by Daniel Barnes refers to Aristotle's "definition-based methodology." I ended my last post emphasizing the fundamentality of methodology, but that appears to not address the subject of Arisotle's alleged definition-based methodology. It is precisely the point that admirers of Aristotle don't see his methodology in terms of being a "definition-based" one. Rather, the methodological concepts important to neo-Aristotelians have more to do with the other things mentioned: context-keeping, integration, dialectical methodology, systematizing empiricism. Who are you gonna believe about Aristotle, Aquinas, or Karl Popper? We already know going in that opponents of a thinker are more likely not to have understood that thinker as adequately as devoted students - who usually have spent a lot more time studying the subject than the opponents have - understand the thinker. I find Leonard Peikoff's interpretations of Objectivism to be way more convincing - and way more revelatory of the value of Rand's ideas - than, say, John W. Robbins. All the same, I'd trust John W. Robbins to give a more accurate presentation of the content of his denomination of Christian theology than I'd expect Leonard Peikoff to. Now that's only common sense (a very Aristotelian cognitive characteristic, BTW), for the reasons having to do with his comprehensive-systematic-integrative methodology. >Who are you gonna believe about Aristotle, Aquinas, or Karl Popper? It's not a question of "who you gonna believe?" It's a question of the logical argument Popper makes. I'm not interested in debating this issue, I have done so ad nauseum in the past. I provide the link simply FYI to indicate a key area of difference from Rand that this blog takes. If you can demonstrate clearly that you 1) understand the basic logic of Popper's critique of Aristotle and 2) how that logic is in error then I am all ears and happy to change my mind. >It sure as crap ain't his theory of gravitation, which is, in principle, the level of relevance Popper seems focused on with Aristotle. Seriously: WTF? I guess this is just another example of how Randian intellectual critique is basically indistinguishable from a random-insult generator. Someone should just write an algorithm! "Aristotelianism was a force for improvement over what there was before." Aristotle offered sterling contributions in the area of deductive logic, and the reintroduction of his ideas improved the quality of philosophical debate. My quibble is that improving the philosophical debate does not translate into improving the culture generally. On this we'll have to disagree. Regarding Hitler, I would say that the intellectual trend that mainly influenced and empowered him was Darwinism, as interpreted by social Darwinists. It led to widespread acceptance of eugenics and concern about racial purity, which gave Hitler the rationale he needed to implement his genocidal program. I'm not saying Darwin himself would have approved, only that his ideas, as interpreted by two generations of German social Darwinists, bred an atmosphere in which eugenics was considered socially acceptable. See Richard Weikart's "From Darwin to Hitler." Social Darwinism was intended as a practical approach to bettering the human race; therein lay its appeal. Newspapers and popular books were devoted to it. People discussed it at dinner parties. (See "Tender Is the Night.") Ideas at this level do influence behavior, but I doubt that theories of, say, concept-formation wield comparable power. "Cynicism is the sign of intellectual and moral bankruptcy... And it shows up in such ways as poo-pooing the importance of philosophy to life"
LOL. Well, as someone who's intellectually and morally bankrupt, I can't have much to contribute to this conversation. But just for kicks, I'll point out that what you call cynicism is what I'd call critical thinking. I like to look at the facts of history. When I do, I find that Marxism didn't "fuel the revolution" in Russia, but was an opportunistic latecomer to the party; the revolution was fueled by legitimate grievances against the czarist regime. The Bolsheviks merely took advantage of the chaos engendered by the revolution to seize power in a putsch. I agree that Lenin exploited the trendiness of socialism - an untried, utopian idea popularized by writers like Jeremy Bentham - to motivate his followers and consolidate his power; but I don't think he had any serious interest in ideas for their own sake. He was interested in power, full stop. Ideas were merely one means among several of getting power. Our basic disagreement, as I see it, is that I believe people generally use ideas to rationalize behavior they would have performed anyway. This holds true for both good and bad behavior. Their ideas don't motivate them; their ideas are an afterthought that allows them to explain their behavior to themselves and to others. The person who throws himself in front of a bullet to save a child doesn't do so because he has imbibed Kant's ethics or even the Sermon on the Mount, but because he feels a deep-seated nonrational, nonintellectual urge to do so. The person who wants power, and will lie, steal, and kill to get it, isn't acting that way because he read about Nietzsche's will to power, but because he feels a deep-seated nonrational, nonintellectual urge to bully and trample others. Intellectualizing isn't the heart of human action, but only its veneer. Lest you say this is cynical, I'll add that, for me, the core of what it means to be human is a spiritual connection with a higher power and higher purpose in the universe, which translates into unconditional love. This isn't an intellectual matter; a Down syndrome child may have it, and a Ph.D. may not. The guy who jumps in front of a bullet probably has it; the bully does not. The person who stops his car to help an injured animal, and the person who kicks a dog for spite, aren't differentiated by the philosophy they've read; they're differentiated by their basic spiritual orientation. Or as Augustine said: "Dilige et quodvis fac" - "Love, and do as you please." I'm old enough to be a real cynic, and I can assure you that it is a joyful state of mind. Thank God I don't believe in any higher purpose or higher power! @The Ultimate Philosopher (TUP, for shortness' sake): I looked at the lexicon you referenced. I will respond over the weekend or early next week if you're still around. *No offense to Mormons, just to poorly trained missionaries. You'uns need to up your game. @Daniel Barnes: I don't think TUP meant to be insulting, just dismissive, which is a shame. I've known a (very) few academic Objectivists (i.e., Objectivists who hold academic posts in philosophy departments), who recognize the force of Popper's critiques and the need for Objectivists and other assorted Aristotelians to address/refute them. After all, how can you expect to persuade anyone to adopt (or at least, give respect to) your philosophy if you don't, won't, or can't engage theirs, especially if they have very specific arguments that purport to sweep the legs out from under your philosophy. You gotta jump, or block, or grapple, or something! You can't just run away screaming, "I have no legs! I have no legs!" You can't just run away screaming, "I have no legs! I have no legs!" Yes, you can, especially if you do have legs... :-P.
I'm getting the impression that certain posters here aren't exactly interested in seriously looking at alternative explanations for things. I've written quite a few things in this comments section that have gone unaddressed and ignored. I don't see anything resembling a response to my point about the radical emphasis on context-keeping and systematizing empiricism one finds in thinkers such as Aristotle and Rand. I find lots of focus on inessentials. I'll be getting to responses to particular postings in a bit, but I'm hoping for more of a two-way street than what has been going on. I'll take a close look at the Popper critique of Aristotle (will I see a similar intellecual curiosity from others here toward the alternative ideas I'm presenting? ), but I'm under the impression it won't address the essential that I'm talking about. I think the chances are close to 100% that Popper has missed something about Aristotle that is crucial, and it is that thing about Aristotle that led Aquinas to refer to him as none other than the Philosopher. Are people here seriously interested in considering what it is about Aristotle that Aquinas saw in him, that maybe Popper missed? I finding what I'm seeing so far here a bit disappointing. But I am willing to learn and understand where you're coming from, and would appreciate a similar treatment in return. Speaking in terms of the fundamentals here, do folks here have some problem with the kind of approach to ideas prescribed by Sciabarra - i.e., effort at full context-keeping? And how *could* you have a problem with that? Isn't your whole charge against Rand's ideas that she didn't adequately take into account the full context of things? Don't you realize that in making this charge, you are imnplicitly invoking her to reject her? Also, how can I do a better job to emphasize that there is something more fundamental/essential/relevant here regarding methodology: that a "dialectical," context-keeping method is the way to go? Do you think the Popper critique of Aristotle would somehow undermine this point? The reason I mention Aristotle is that I think he represents - as a concrete - the essential point about (dialectical, context-keeping) methodology. Is there something wrong about that point, with that methodology? Can we get a useful discussion on that essential? In terms of fundamentals, I'm here to defend that, not Aristotle per se. "Regarding Hitler, I would say that the intellectual trend that mainly influenced and empowered him was Darwinism, as interpreted by social Darwinists." This doesn't sound convincing to me given the control-group: England itself. What about England's intellectual and cultural environment differed from Germany's, such that Darwinian ideas fueled pathological political conditions in Nazi Germany, but didn't fuel pathological political conditions in England? What about these countries' respective (full) *contexts* differed? Or, heck, what about the contexts of Germany and America were different, such that Germany went the way of dictatorship in the '30s, while America adopted pragmatic (hint, hint) half-measures? Part-way through the Popper, and my suspicions are being confirmed that it doesn't address my point. Popper is not focused on methodology - and methodology is what I've been emphasizing, and doing so in the context of promoting a context-keeping, systematic, etc. method - but on the age-old problem of universals and essence. To approach Aristotle and critique him in some supposedly big and important way because of his ideas on *this* issue is to be so concrete-bound as to completely miss for the forest for the trees. The primary concern here is not Aristotle in the concrete sense of what specific conclusions he reached, but has more to do with Aristotle's *sensibility* in approaching subject matter. It's about method, not conclusions. The conclusions can be mistaken, incomplete, false, etc., but the thing that matters is how you go about reaching conclusions. Sorry, but identifying Aristotle's method with his (essentialist) conclusions is not to accurately characterize his method. By adopting his *method*, we can get to better or more complete ideas about essences. The rigorous and disciplined *approach* to subject matter which Rand had to use to formulate her theory of concepts, is the thing I'm most interested in - and it's how I can call her theory of concepts neo-Aristotelian even though it certainly differs from the concrete Aristotle's concrete answer. It is neo-Aristotelian in its *sensibility* toward subject matter. It means adopting a comprehensive approach to a subject (hence my initial remark about comprehensiveness in connection with Aristotle) that takes into account the widest possible context one can access at a given time. The answers one reaches through such a *process* should be the one based on inference to best explanation, once all the alternatives at one's avail are (dialectically) ruled out. That's what makes Aristotle's solution to the problem of universals *better* than Plato's, even though both are deficient. It is better, because of his better, more comprehensive method - e.g., he considers the physical world much more adequately than Plato does; he's rightly empirical in his approach whereas Plato isn't. That doesn't mean or guaranteeing not making mistakes or not having complete solutions. But you can't name a better *approach* to inquiry. That's why Aquinas referred to him as the Philosopher, and it's what - I reiterate - Hegel found so impressive about Aristotle. Popper's focused on a more specific and derivative question, and it has to do with conclusions Aristotle reached, not his approach. In that, he may well have (I'm pretty sure he does) adequate criticisms of Aristotle's conclusions. But - as Miss Rand pointed out about Aristotle's having to be invoked in order to be denied - the credibility of any such criticism implicitly rests on an acceptance of the *approach* Aristotle encouraged. A more interesting question is how Aristotle, given his approach to subject matter, would respond to Popper's criticism, and also to Rand's own alternative. I do not think he would respond by clinging dogmatically to his original essentialism. To think so, is to seriously, terribly, miss the forest for the trees. >Part-way through the Popper, and my suspicions are being confirmed that it doesn't address my point. Part-reading an essay for confirmation of your existing beliefs then posting at length on it is your usual "methodology"? 2) What modern philosophical doctrine therein (that Popper criticises as typical of say Wittgenstein) would Rand also subscribe to? >I'm getting the impression that certain posters here aren't exactly interested in seriously looking at alternative explanations for things. I've written quite a few things in this comments section that have gone unaddressed and ignored. You are currently as per above writing in a rather lengthy, O-ist jargony way, which as other commenters have noted is offputting. Further, you seem to think that we're not already familiar with what you're saying. In fact we are. I know Sciabarra's work and position on Rand reasonably well. What you obviously *don't* know is my position, which is from the Critical Rationalist tradition. I've given you a bit of a heads up as to how that works. Once you're up to speed, perhaps we can productively discuss our differences. >But you can't name a better *approach* to inquiry. Well, as it happens, I can. >That's what makes Aristotle's solution to the problem of universals *better* than Plato's, even though both are deficient. By the time you finish reading this essay you should be able to see what this reason is. >Also, all that stuff about dialectical methodology, integration, context-keeping, etc., is key to understanding what I meant by reference to Aristotle's comprehensiveness as a thinker. Unfortunately we here at the ARCHNblog are distinctly underwhelmed by terms like "dialectical", "context", "integration" etc. What, exactly, do they add to the human quest for knowledge that say, "logical argument" "empirical testing" and "imaginative conjecture" don't already have covered off? AFAICS they add little or nothing in practice, though they can inspire some pretty windy verbiage. Hence they are more like a kind of brand differentiation; philosophical product packaging if you like to make a particular brand stand out on the shelves of the intellectual marketplace when the contents inside are in fact rather generic, and even defective. "It sounds really petty to dwell on choice of words; aren't there much bigger and better fish to fry, Randian or otherwise?" In most instances, the choice of words is neither here nor there; but in this it really does spread confusion. In her personal life, Rand used MUP as a means of attacking people who different aesthetic tastes from her own. There is also, in Rand, an implied conflation between a malevolent sense of life and what is known as the tragic sense of life (which I will explore in my next post). "That's simply a non sequitur from what I said. Many people are hardly philosophical at all - which only reinforces the point I was making. People are products of (a) things they've absorbed form their surrounding culture, (b) their self-initiated efforts to think or not, and (c) ?" The view that people are largely the product of their philosophical premises is necessary to make your view plausible. If people are the product of something else (e.g., their passions, sentiments, desires, etc.) then it's unlikely that philosophy plays a major role in culture, but rather, that "culture" itself will be the product of whichever passions are prominent among cultural elites. I would also note that culture is rarely a unity, that always there are contrary currents, just as there are different currents in philosophy. It's therefore very easy if concentrate merely on those currents of philosophy and cultural that seem to link up with general political trends to trick oneself into thinking that there is a causal chain. But this sheer confirmation bias and not possible without ignoring the contrary cultural and philosophical currents. "At some fundamental level, people can become better under the right set of conditions (including self-directed ones). There are many historical examples of people who have broken out of the mechanistic mold in which you pigeonhole human beings." Broken out in what way? The centuries roll on and human nature remains the same. People in general are neither very bad nor very good, but somewhere in the middle. There's little evidence that large masses of people can be made "better" through the influence of culture or philosophical ideas. The conduct of people is far more influenced by what the sociologist W. G. Sumner called the "mores" rather than culture; and there is no evidence the mores themselves are determined by philosophy or culture. There is often a split between the mores and culture, since culture tends to be the province of elites, whereas the masses tend to follow the mores. Most people want to be accepted within their group, so they will follow the mores of that group. These mores themselves arise like fashions: there is nothing logical or dialectical about it. It's not the logical consequence of some philosophical idea. It's therefore very easy if concentrate merely on those currents of philosophy and cultural that seem to link up with general political trends to trick oneself into thinking that there is a causal chain. But this sheer confirmation bias and not possible without ignoring the contrary cultural and philosophical currents. Amen. In fact, it is so easy to do so that unless two people share substantial areas of agreement, particularly on sources and methodology of validation, debating history and cultural causes is a waste of time. But it can be fun to watch/read ;). Rey, re young Mormon missionaries you are right, They are sent out unarmed. I lived two doors down from a Mormon temple for 20 years, and met them every day. Politely I would tell them no thanks, I subscribe to the theory that the Book of Mormon was cribbed from the religious-themed novel of a minister for whom Joseph Smith worked as an itinerant farmhand. Politely they would say Oh, I've never heard that. For 20 years! "What about England's intellectual and cultural environment differed from Germany's, such that Darwinian ideas fueled pathological political conditions in Nazi Germany, but didn't fuel pathological political conditions in England?" For one thing, England had a long history of parliamentary government, while Germany had been run by a dictatorial kaiser and was attempting representative government for the first time. As we can see in Iraq and Afghanistan, it's difficult to get the hang of democracy when there is no cultural tradition behind it. Germany also had a long history of antisemitism, much more so than England. Martin Luther became rabidly antisemitic in his later years, and Lutheranism was the major religious movement in Germany. The Church of England had a much different history. Finally, Germany had been humiliated in WWI, and was bankrupted by hyperinflation, which destroyed the economy. Crime and libertine behavior flourished during the Weimar era, outraging conservative Germans. With its history of antisemitism, Germany found it easy to blame its ills on "the Jews." With its history of authoritarianism, Germany naturally looked for a "strong leader" to take control, punish the Jews, abolish crime and illicit sexuality, and restore the nation's fortunes. England did not have a history of authoritarian one-party rule or of rabid antisemitism. Nor had England lost a war or been bankrupted by hyperinflation. Nor did England see a precipitous rise in crime and shocking sexuality. Those are the main differences. There are others. But I think what you want me to say is that Immanuel Kant was more of an influence in Germany than in England. This is the line of argument Peikoff takes in The Ominous Parallels. Unfortunately I don't find it convincing. Kant was influential with philosophers in both countries, had little influence on non-philosophers anywhere, and moreover was nothing like the caricature that Rand and Peikoff drew of him. He was no proto-Nazi, but a champion of limited government. Far from being an enemy of "the mind," he was trying to reconcile the classical conception of the dignity of the mind/soul with the findings of Enlightenment science. Or so I see it. YMMV. Thanks for the interesting discussion, and good luck with your book. I wouldn't concede TUP's point about England. I agree with everything Michael said about why England's politics did not degrade like Germany's did in the 20th century. But who are the thinkers in the social Darwinist tradition? Brits are the leaders, by and large -- Herbert Spencer, Sir Francis Galton, and I'd include Thomas Malthus, since his theory about the expendability of the "surplus population" has a survival of the fittest attitude. Think about the rhetoric around the British Empire being the "white man's burden," bringing civilization to the savages. See also this picture (ca. 1899) from the age of "scientific racism" (http://en.wikipedia.org/wiki/File:Scientific_racism_irish.jpg) -- it's striking that the "superior man" is listed as Anglo-Teutonic, as against Irish and Black, representing two of England's colonies. Social Darwinism was *certainly* an influence on Victorian England, and played a role in justifying its imperialistic actions. The US and the UK should have been building death camps if bad philosophy was all it took.
" Popper is not focused on methodology - and methodology is what I've been emphasizing, and doing so in the context of promoting a context-keeping, systematic, etc. method - but on the age-old problem of universals and essence." Given that Aristotle's essentialism is an important component of his method, I'm not sure what the point is here. Yes, logic is another component of Aristotle's method; but Popper praises Aristotle's work on logic. It's the essentialism, with its stress on definitions, that Popper singles out. "The conclusions can be mistaken, incomplete, false, etc., but the thing that matters is how you go about reaching conclusions." But if the method one uses to go about reaching one's conclusions generates mistaken or false claims about matters of fact, this does not speak very well for the method. Even if Aristotle had some other method he employed beyond that which he limned in his essentialism, since it so often led to errors about matters of fact (it did so not only in Aristotle's own philosophy, but in that of the scholastics, particularly Aquinas). A much more successful methodology is that of experimental science, which, while making use of Aristotle's logic, eschews Aristotle's essentialism and emphasizes empirical criticism and peer review, rather than definitions and ex cathedra pronouncements. >Popper is not focused on methodology - and methodology is what I've been emphasizing, and doing so in the context of promoting a context-keeping, systematic, etc. method - but on the age-old problem of universals and essence." >Given that Aristotle's essentialism is an important component of his method, I'm not sure what the point is here. *in the new version the "methodological" in either case was cut out for simplicity's sake. On the sidebar of the main page, there's a comment by Anonymous that's supposed to go at the end of this thread. But it's not showing up, at least on my two browsers (Chrome and Safari). Huh. Well, now the Anonymous comment has vanished from the sidebar as well. My guess is that it's a cleanup process that is sometimes inefficient for deleted comments that caused that comment to still show. We didn't delete it, the author must have. Daniel, brace up. Fresh from his thorough trouncing of you here, my hero Mr. C. Cathcart (the Ultimate Philosopher) has returned to SOLO to announce in triumph that he has now proven that Ayn Rand "will always utterly refute any attempts to deny her." Or defeat any attempts to refute her. Or something. He has proven it to himself which is all that matters and further announced, "Well done, self. Good job." I know it is bitter to have your ignominious defeat so sorely rubbed in but thought it better that you hear it first from a friend. He really is the Ultimate Philosopher. He mastered Popper's argument without even reading it, and deftly countered all criticisms of his position with eloquent silence and a hasty retreat to safer territory. As Charlie Sheen would say, "Objectivism - winning!" Michael, you are so on point that it is uncomfortable. As enjoyable as TUP is, I have read his blog and his exuberance is disturbing. In mania everything, every little detail fits into The Theory, whatever it is, and makes everything more awesome and wonderful. 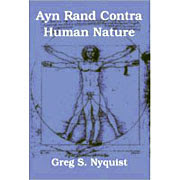 His weird outbursts and essay titles (Ayn Rand: Effing Genius!) and his intimate knowledge of exactly what Aristotle would think of any given situation, plus his obsessive hatred of somebody named Rawlins and "Ivy League Intellectuals" do not prime me for a thoughtful, incisive analysis called "Perfectivism". For his sake I hope I am wrong.